Public engagement is generally defined as “a two-way process, involving interaction and listening, with the goal of generating mutual benefit”. Through public engagement initiatives, two-way communication offers an effective way of designing health policies and setting priorities. Public engagement with local communities helps scientists and researchers to optimize the relevance of their research, and can generate novel insights for policy and practice. Public engagement has become increasingly important for health managers and policy makers, reflecting the intrinsic link between healthcare, health policy and research. The European Union supported SHARE (Strengthening Health, Applying Research Evidence) initiative is working alongside the Directorate General of Health Services (DGHS) in Bangladesh to ensure that peoples’ voices are at the centre of discussions about health policy. This initiative aims to learn what support the local community needs to improve its health and how to connect people to resources that can help them. Through different capacity building activities carried out in the past few months, icddr,b researchers and members of the SHARE project travelled throughout Bangladesh and engaged with local health managers and healthcare seekers, hoping to build deeper public engagement in the health sector. Senior Health Consultant Dr. Emdadul Haque knows what it means to win the trust of underserved people, people for whom hospital services and resources are inadequate to serve their health needs. He also knows how to minimize this inequality through local participation. His leadership from 1996 to 2012 helped to develop Upazila level standard services in the Chowgacha Health Complex in Jessore district, and mobilized 46 additional workers from the local community. The Chowgacha Health complex was awarded jointly by DGHS and UNICEF for best performance in emergency obstetric care in the Khulna administrative division for every single year from 2005 to 2014. Dr Haque also implemented a programme for community participation in hospital service improvement in Sadar Hospital, Jhenaidah. In response to his initiative, the local MP, doctors of the hospital and Jhenaidah town began providing substantial manpower support to the programme. The mayor of Jhenaidah has also played an important role in improving hospital cleanliness, security and waste management. Support from different segments of society has been tremendous, and has created such value that Jhenaidah Sadar Hospital became the highest revenue hospital in Khulna Division in 2014. 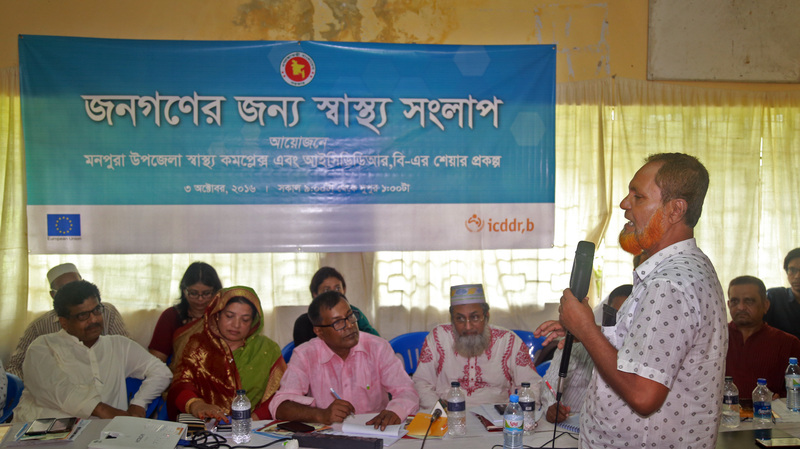 Dr Anwar and his team took the initiative to disseminate the local support model of Chowgacha and Jhenaidah in hard-to-reach areas like Monpura, a remote island in Bangladesh. In October 2016, the SHARE project hosted a public health conversation, titled ‘Health Dialogue for the People’, at the Monpura Health Complex auditorium. Health managers, researchers, local leaders, media, policy makers and common people attended the event. 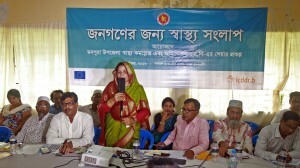 The event provided an improved understanding of the current health service situation in hard-to-reach areas of Bangladesh, and initiated the difficult process of engaging a wide range local and national stakeholders to collaborate towards developing better health service delivery in these areas. SHARE project objective is taking capacity building initiative towards evidence-informed health policy making. Health dialogue at local level has relevance to health sector programme where local level health planning and increasing incentives for service providers in hard-to-reach areas are included. Here health dialogue can be developed as a model for facilitating local level health planning in low resource-setting areas. The conversation in Monpura revealed a severe shortage of doctors, nurses and basic medicines. A gross imbalance in the distribution of healthcare workers between urban and rural areas exists in Bangladesh. 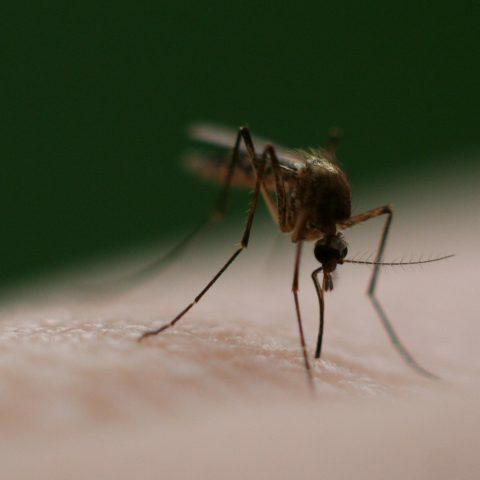 This is exacerbated in particularly remote areas like Monpura, and there is an urgent need for more healthcare workers and improved facilities in these areas. As a direct result of the public engagement event hosted by SHARE, a community support group for Monpura Upazila Health Complex was formed. The support group is led by the elected Upazila Chairman, working alongside members from the local administration, media and various professionals. The group even caught the attention of Mr. Abdullah Al Islam Jakob, MP, honorable Deputy minister for Environment and Forests who is now helping to mobilize national support to strengthen crucial health services in Monpura. One of the main principles of Bangladesh’s National Health Policy is involving local people in areas such as planning, management, local fund raising and monitoring of health services. By encouraging participatory decision-making in these areas, we aim to promote people’s rights and responsibilities in public health. Strategic documents of the National Health Policy indicate that information on health education will be disseminated by incorporating community leaders and other government agencies in the healthcare system. Research on various management styles and their effectiveness, clinical services, approach to diagnoses, social and behavioral aspects of human beings, epidemics etc. will be promoted by the government. In line with the principles and strategies of National Health Policy, public engagement dialogue on health issues can create a platform for collaboration between common people, health managers, policy makers, researchers and other relevant stakeholders. It can give underserved people a real voice in how health services can be improved through local participation. These kinds of public engagement initiatives seek to generate mutual benefit for all stakeholders across the healthcare system. By listening to the views of local people on health issues, we increase our understanding of the often idiosyncratic challenges faced by the medical system in remote areas. Through dialogue we can gain a deeper understanding of community perceptions about public health, allowing us to tailor medical service delivery to the needs of local communities. Eventually, these initiatives empower local communities to take charge of their own health needs, allowing them to engage constructively with health workers and government representatives. For researchers, these programmes teach them how to communicate their findings among local communities, and help them to understand the health needs of remote areas like Monpura. This reciprocity of roles has the potential to create a real sense of shared ownership and responsibility between medical providers and care seekers, ultimately creating shared value for all relevant stakeholders in the healthcare system. Could stool samples unlock barriers in childhood tuberculosis testing? Why are garments workers more prone to violence at home?